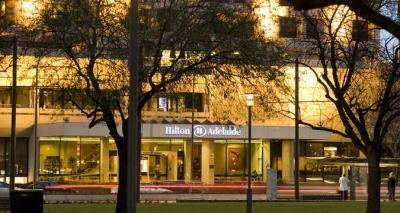 Hilton Adelaide is a 5 star (self rated) hotel close to many central attractions including Victoria Square. Its great location means that shopping/dining destinations and public transport are just on your doorstep. 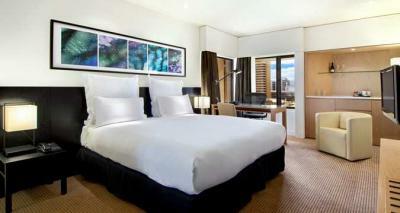 Each room provides an ergonomic workstation perfect for business travellers, and LCD wide screen televisions. There's also a sauna, tennis court, outdoor pool and gym.